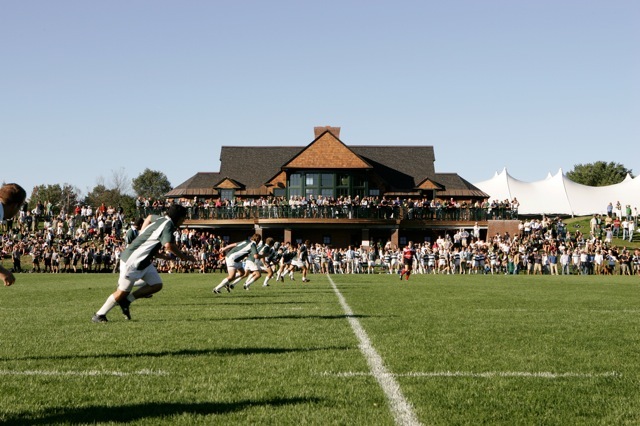 Dartmouth Rugby headed down to Philadelphia this Wednesday to begin final preparations for the Collegiate Rugby Championship (CRC). The squad made a rapid and seamless transition into Sevens training this spring, having closed out a hard-fought XV’s run in the USA Rugby DIAA Championship tournament just a few weeks ago. Twelve players have made the trip for the DRFC, with seven of them making repeat appearances in the CRC. Coleman (’19) and Bienstock (’20), who both played last year, will look to bring the physicality from forwards. Engelhart (’18) is set to lead the squad once again, directing play from scrumhalf, as usual. Pat Sheehy (’20) and Jack Badenhausen (’19) bring the boots for the Big Green, while Winton (’19) and Brevnov (’20) add lightning speed to Dartmouth’s attack. Lewis (’21), who has made the roster as a freshman, and Goodman (’18) add a valuable element of shift ball-movement and running to the team’s arsenal. Peter Badenhausen (’18), Steve Hinshaw (’18), both of whom have earned their first appearances at the tournament this season, and Hannam (’18) round out the DRFC squad as three hard runners and exceedingly physical players on both sides of the ball. Tune in this Saturday, June 2, as the DRFC kicks off pool play against Iona at 10:55AM EST on ESPN 2. Following pool matches: v. Kutztown, 1:20PM EST; v. Temple 3:15PM EST on ESPN+. The Big Green looks to move into elimination play on Sunday.